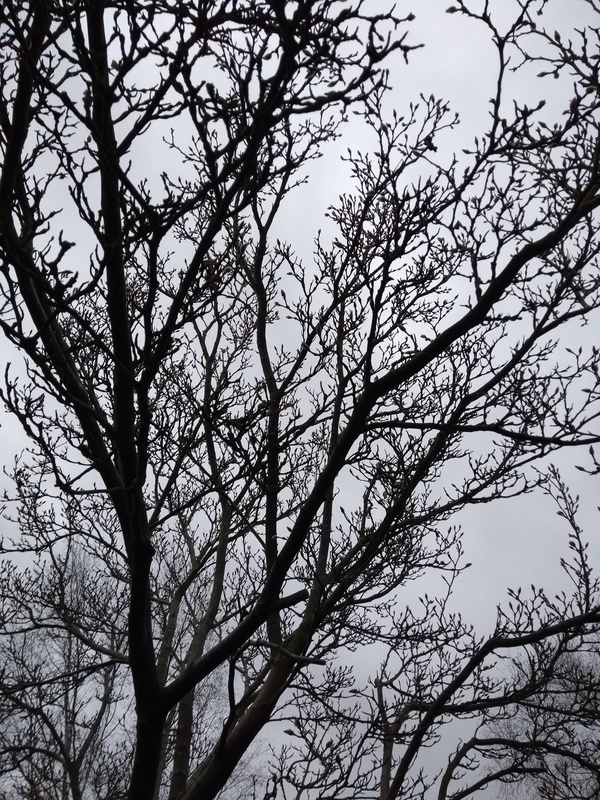 (Above) The paired-back beauty of January bleakness…Magnolia buds against a leaden sky at client’s front garden. Here are some further highlights of January so far! 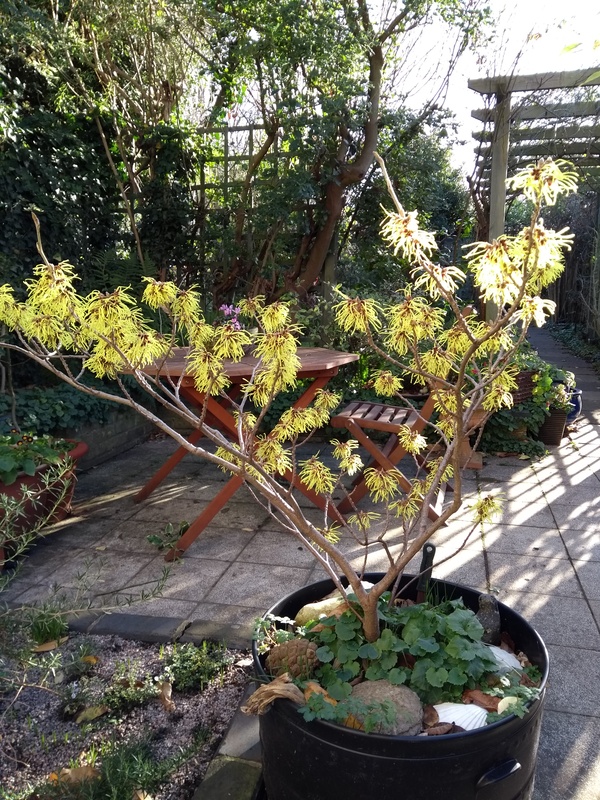 One of my client’s Hamamelis (witch hazel) in rather glorious full flower, after being re-potted last Autumn. 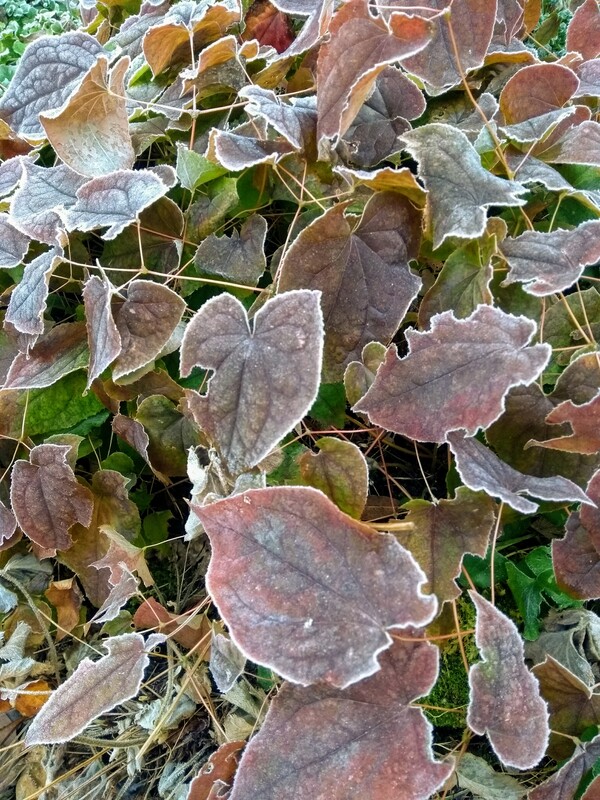 Perfect frosting edging to my Epimediums leaves in my garden…. 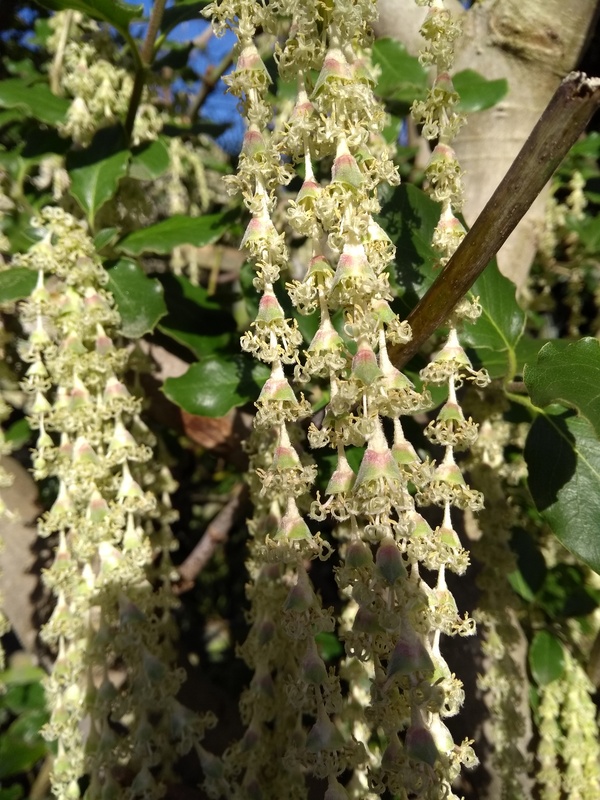 Close up detail of magnificent Garrya elliptica flowering in my client’s garden – another star of the month…. 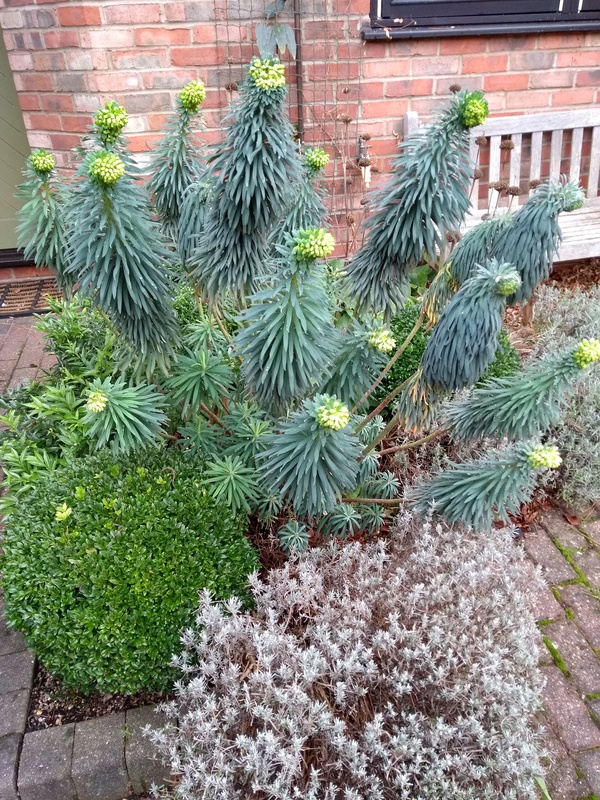 Euphorbia characias wulfenii ‘lion’s mane’ heads doing their rather wonderful winter thing in my front garden.. 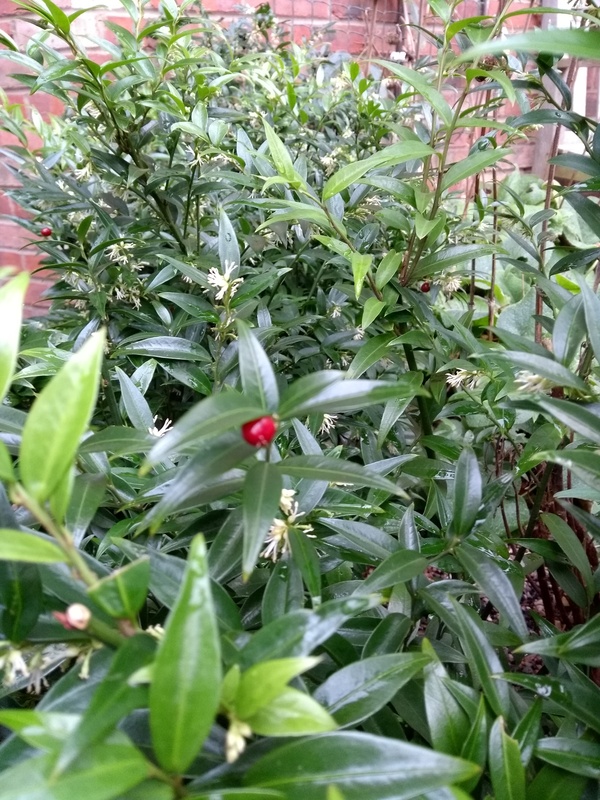 The lovely Sarcoccoca ‘Dragon’s Gate’ with super red berries and fabulous scent, in my front garden. 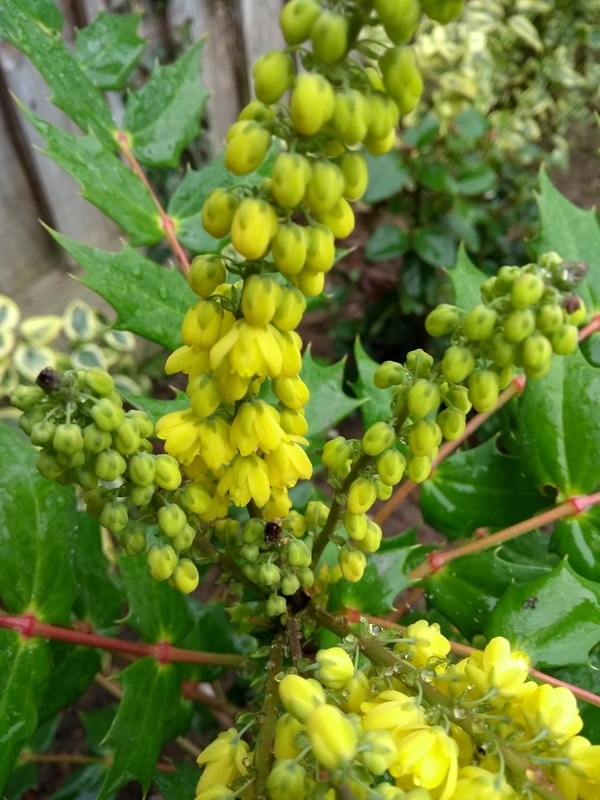 It’s easy to see why Roy Lancaster leapt at this find of his – it’s a very refined version of a great winter evergreen no garden should be without. Perfect timing! 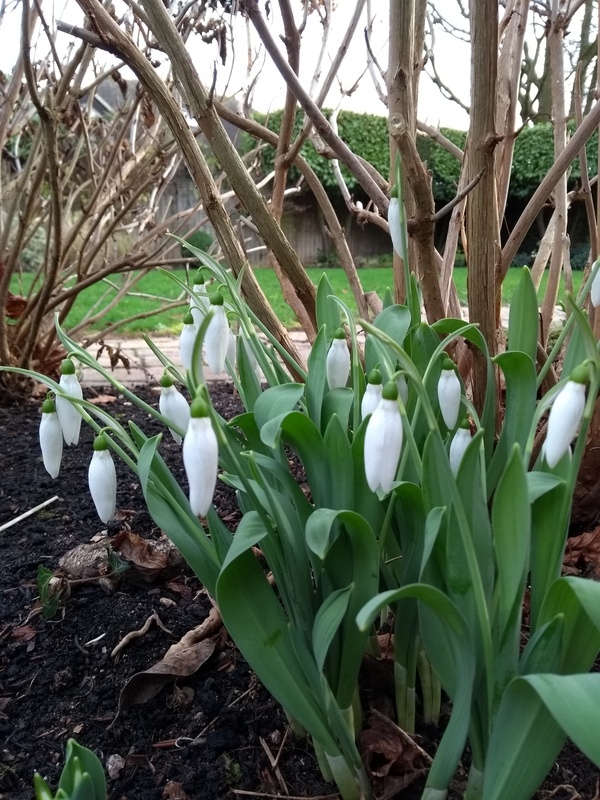 Thanks Ursula, I needed some inspiration for winter flowering plants.